The Jewish world is mourning the loss of two men who played a major role in religious life in New York, and beyond, for many years. Within two days last week, Cantor Sherwood Goffin, who served as the chazan of Lincoln Square Synagogue for 50 years, and Rabbi Yisroel Avrohom Portugal, who headed the Skulen chasidic group for nearly four decades, died. The cantor was 77, the rabbi, 96. To their followers, each was known by a distinctive name — “The Chaz,” short for chazan, and the Skulener Rebbe, respectively — that defined both their positions of leadership in the community, and the respect with which each was held. Cantor Goffin was a founder, along with his one-time Yeshiva University classmate Rabbi Shlomo Riskin, of Lincoln Square Synagogue, the Modern Orthodox Upper West Side congregation that became a flagship institution in the movement. From the outset it was famed for the rabbi’s oratory and the cantor’s musical skills. 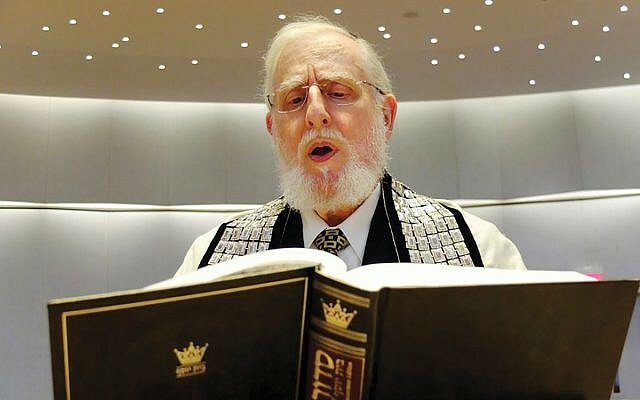 A warm, outgoing man who was an authority on nusach, the Jewish liturgical tradition, Cantor Goffin taught generations of chazanim at Yeshiva University’s Belz School of Music. Equally significant, he instituted an inviting cantorial style of leadership in prayer that invited congregants to join in rather than sit back and be entertained. In recent years Cantor Goffin gracefully eased his successor, Cantor Yanky Lemmer, into the position of full-time cantor, but congregants looked forward to his leading the prayer service on occasion. The Skulener Rebbe, not as well-known outside of charedi circles as the spiritual heads of larger chasidic groups, was among the last links to the generation of chasidic leaders who survived the Holocaust. He was the successor to his father, Rabbi Eliezer Zusia Portugal, the previous Skulener Rebbe, who died in 1982. The two, who were imprisoned by Communist authorities for teaching Torah and smuggling Jewish children into Israel, are buried side-by-side in the Vizhnitz Chasidic cemetery in upstate Monsey. An estimated 50,000 people attended the funeral last week. Father and son were eventually freed through the intercession of prominent political leaders in the United States and settled in Brooklyn. They were known for their compassion and skilled compositions of chasidic songs. We would like to think that the heavens are now graced with the melodies of Cantor Goffin and Rabbi Portugal. May their memories be a blessing.